Set of 13 vectors with cartoon vegetables and fruits backgrounds that you can use for restaurant or cafe design. Free for download. 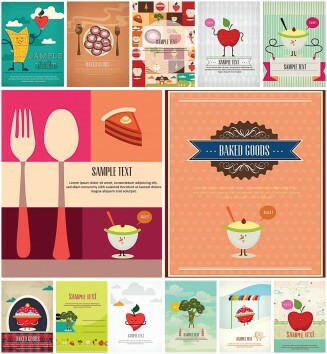 Tags: cartoon, food, Lovely, menu, restaurant, vegetables.